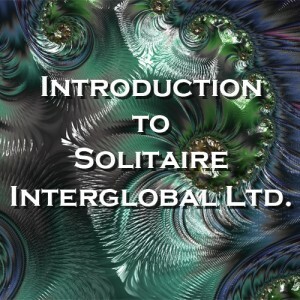 Introduction to Solitaire Interglobal Ltd.
Home » Informational Videos » Introduction to Solitaire Interglobal Ltd.
Solitaire Interglobal Ltd. (SIL) is an expert service provider for modeling, business analytics, risk mitigation and a broad group of other complex system services. Many SIL clients use SIL services to ensure their IT environment is healthy, while others focus on cost control, market evaluation and smooth transitions in time of organizational change. SIL works with both private and public sector entities world-wide. This video provides a short introduction to SIL and its approach and capabilities.